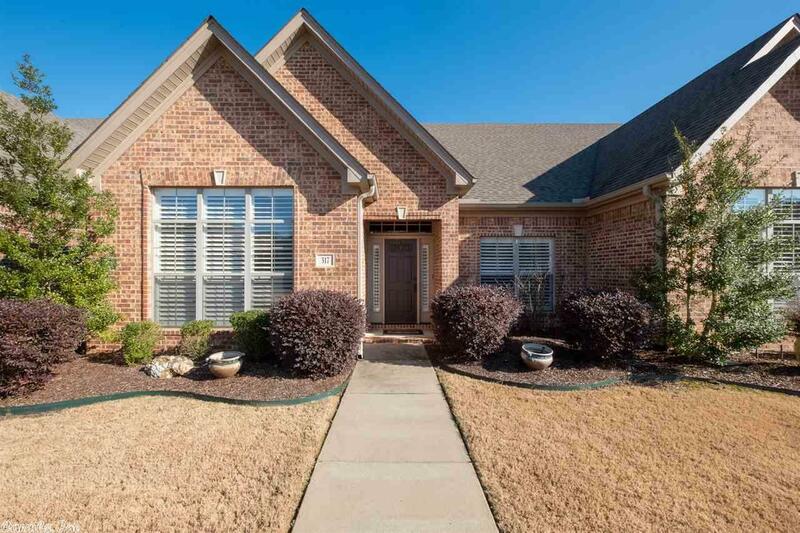 3 Bedroom/2 Bath one level patio home w/no steps in front or from the garage into house. Rear-loading 2 car garage. Spacious greatroom w/ fireplace w/ gas logs. Kitchen-dining room w/breakfast bar and large center work island. Beautiful solid granite and rich wood stained cabinets. Large pantry & laundry area. 3rd bedroom opens to covered porch. 2nd and 3rd bedrooms share a bath. Master bedroom w/ vaulted ceiling and private bath separate. Fenced backyard & swing on porch. Small community - nice homes.